A lot has happened in the world of Apple this last year. Apple has released new Macs including powerful MacBook Airs, OSX Lion, iCloud, the iPhone 4S with iOS 5 and just announced a strong OSX Mountain Lion release coming for Summer. Along the way, Steve Jobs died – on October 5. A tragic loss to millions around the world. Even so, Apple is on a roll of immense proportions and is showing no signs of slowing down. Its stock valuation is larger than any other corporation in the world, but you know that already. If you’ve been here before, you know that Apple is a passion of mine. I bought my first Mac in 1986 (the Mac Plus). That was a big commitment at the time. Back then, I was an up and coming computer professional just starting my own business. The question was do I go with my strong attraction to the Mac or go with the already dominant and rapidly growing IBM PC? I went Mac then and have stayed the course. At the time it looked like the innovative and easier to use Graphical User Interface of Macintosh would overtake the PC, but that didn’t happen. 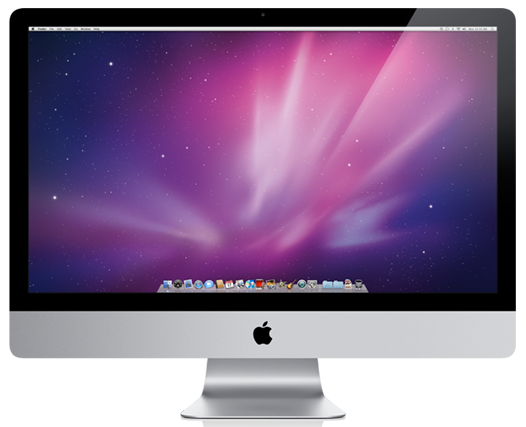 Even now, Mac represents only 10% of the Desktop PC market. What has happened for several years now is that Mac is growing at 25-30% per year and PC sales are flat. The reason for Apple’s success has not been the Mac, but the introduction and massive success of the iPod, then the iPhone in 2007 and now the iPad. We live in a world swimming in mobile devices with people bumping into each other as they pay much more attention to their phones than their whereabouts. Mobile has begun to dominate the market and looks hell bent to take us all into a Post PC world where the PC is more of an after thought (actually, the PC as we know it may become part of the scenery literally as walls and glasses become screens). Just last week it was revealed that Apple sold 155 million iOS devices in 2011 which exceeds the total number Macs sold in its 28 year history (122m). Even though Apple lost the battle between Mac and PC, they drove the computer industry forward, even in the Eighties and Nineties. Bill Gates could see that Apple’s Macintosh technology and graphical user interface was the wave of the future. So Microsoft created Windows using the Mac as a point of reference. Microsoft’s dominance systematically drained Apple and by the mid-nineties Apple’s future was in doubt. Steve Jobs returned to Apple after a hiatus of over ten years and revived Apple and led it to where we are today. I’ve been doing blog posts here on the state of Apple for several years now. I’ve predicted Apple’s success, but no one could have predicted the current situation. Apple has been moving computers forward by leaps and bounds and taken computer tech far beyond the graphical interface, desktop/laptop into whole other categories. With Apple’s rise, the computer and associated technology industries have exploded into uncharted territory. We’ve gone from a computer on every desk to a computer in every pocket. So, where is Apple with Tim Cook at the helm, without Steve Jobs to drive it forward? So far so good. Apple has not stopped innovating but I don’t think anyone expected it would. Apparently Steve Jobs worked with Jony Ive and other Apple executives on at least a four year product timeline. I’m hoping those four years will march like clockwork to not only improve the Mac, the iOS platform and devices, but create whole other platforms and initiatives. We know from the biography of Steve Jobs by Walter Isaacson that Apple is working on major initiatives in education (iBooks Author) and the Living Room (Apple TV). From the looks of Mountain Lion and iCloud, lots more is in store. As a technology professional, my job is to invest my time (R&D) and efforts (software development, consulting and writing) in the right places so I can, through early adoption, R&D and experimentation, stay ahead of this unfolding curve. I have acquired Apple’s latest technologies early including the first iPod, the first iPhone and iPod touch. The first iPad. I’ve since upgraded first thing as advances in these tools were made. I don’t buy every model, but have purchased every iPhone model on its first day, the Nov 2008, Nov 2010 and July 2011 MacBook Airs. I’m on the case and study the iPhone and iPad apps as they pertain to my target users: designers and the broader group of professional knowledge workers like myself (see my Independent Knowledge Professional blog that evolved from my Tech Ronin blog started in 2003). The Mac, iPhone and iPad are #1 in their categories (the latter 2 are number 1 in sales, while Mac is agreed as the better desktop/laptop machine for those who have a choice. They are going gangbusters and I see no reason to doubt that will continue for the foreseeable future. Of course, nothing is forever, so Apple will have to find it’s way on its own (without Steve Jobs) to continue its success as time goes on. It’s not easy to do what they’ve done and it won’t be a slam dunk to continue it. IBM has done pretty well. Microsoft has seen better days, but I wouldn’t count them out by any means. With Apple’s size now, they have to make big markets. I have no doubt that iBooks Author will succeed (and have written a recent blog post about it over at my Independent Knowledge Professional blog). Same for Apple TV. Who can do it better? They have all the money in the world ($100 billion at last count). They have Jony Ive as head of design which is a central, defining role at Apple. 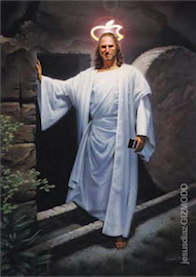 They have the ultimate Operations guy in Tim Cook. This should be fun to watch — and participate in. My bread and butter work is the development of custom FileMaker Pro database applications for businesses – I call them decision support systems. I’ve built a FileMaker-based software product called Studio Manager for the creative services industry so do most of my consulting there, but I do a certain percentage of my work with a variety of other businesses from solopreneurs to corporate work groups. Technology consulting comes along with the territory. I advise on what hardware and software to buy as part of my help in developing solutions to business challenges. I’ve had a web presence since 1995, so do a little consulting re blogging and social media. I’m a big Twitter fan (I’m @tokerud) but could live without Facebook. I love the Kindle and have recently acquired a Kindle Fire. It’s pretty good. Amazon is the other A company I believe in. My generic advice to you without a personal consultation? Get a MacBook Air if you don’t already have one as your main computer (it’s OK to have a larger desktop machine when needed but such a machine is rarely versatile and mobile enough to be your primary machine). Get an iPad 3. Use an iPhone. Right now these are your best bets for hardware/software technologies to use in your knowledge work. Use them for staying current, managing, creating content, communicating, thinking. You need to place bets with your hardware and software investments, and most importantly with your time. Every minute spent with these devices is know-how acquired – progress along key learning curves. Technology investments elsewhere will have smaller returns. Obsolescence and the avoidance thereof is a reality any knowledge worker must take seriously and manage him or herself to. I follow Apple closely every day. I own multiple Macs, an iPhone 4 and an iPad 2. The biggest chunk of my income comes from building software and custom systems with FileMaker Pro – also owned by Apple. I was pretty thrilled last July when FileMaker announced FileMaker Go for iPhone and iPad. The latest upgrade to my Studio Manager product supports iPhone and iPad access. 1. iPad 2. The iPad 2 and enormous success of the first iPad last year is the biggest thing. The iPad is the third big industry-changing new device after the iPod and iPhone. This triple play puts Apple in the catbird seat in the technology scene. They are making truckloads of revenues and profits and their biggest problem is figuring out what to do with all the cash they are accumulating. I love the iPad and and am on cloud 9 with the new thinner, lighter and faster iPad 2. The iPad is such an easy device to use. iPhone delivered the wonders of multi-touch in an exquisite little package. iPad raises the ante by expanding the screen to handle most digital documents at full size and doesn’t do half bad with video. There’s plenty of room for controls and content. Apple is building for the future though. Things we are used to like USB and the Finder aren’t in iOS. Apple views the iPad as a game changer. They are reinventing the PC and are very serious about it. Expect to see better replacements for these standards as they get completed to the satisfaction of Steve Jobs. Apple made a judgement call on how far they could get us to stretch into new territory with the iPhone (no copy and paste?) and now with the iPad. They gave us all sorts of inducements to make the missing pieces worth waiting for. See more on this in yesterday’s post Have iPad, Will Travel on my Independent Knowledge Professional blog. You may want to get an iPad just so you can start the new multi-touch *pad* learning curve. Gestures are in and they are being phased in over time. It helps to get on board so that you don’t have to learn 15 gestures all at once 2 years from now. There are rumors of a possible, more cloud-based iPad 3 this Fall. I’m so happy with iPad 2 that I don’t care one way or the other. But, of course, you would probably find me waiting in line then too. Apple hasn’t disappointed me for quite a few years now. 2. iPhone 4 and 5. Apple finally delivered a Verizon iPhone in February. The iPhone 4 is a killer device with its absolutely gorgeous 960 x 640 pixel screen. The early hubbub about the antenna had little to no negative impact on this juggernaut. However, the iPhone 5 may not be released in June. In fact, it seems pretty clear that an Autumn release is the earliest we can expect. I guess Apple isn’t done yet with whatever they are cooking up. So far we are hearing more cloud-based, a very powerful voice control component based on Apple’s acquisition of Siri. Apparently Apple wants to keep ahead of the pack so expect more on this next iPhone. By the way, the iPod touch should continue to gain iPhone features as time goes on and be an incredible wi-fi-only device. As free wi-fi spreads further, which it has been doing quite nicely lately at places like Starbucks, Peet’s and even MacDonalds, the iPod touch increases its value. 3. OS X Lion is nearing completion. We’ve already seen a preview and it will be morphing closer to iOS, taking on various inventions there. More gesture-based. An app store already out. A bunch of little icons on the home screen too. And more. The Mac and OS X look to be in a great position to continue their long upward climb in marketshare. It’s getting to the point where some people are starting to think that adopting the Mac platform is a step on the way to the future rather than a step off the path onto a niche OS. Many are saying Microsoft’s days in the sun are numbered. I think OS X and Mac will continue to grow. That’s all that matters from my perspective. If the PC platform is plateauing and Mobile and Cloud are ascending, it may not matter too much which way that goes. All these three initiatives are selling like hotcakes. Apple’s massive multi-billion dollar server farm facility in North Carolina may be completed this Spring. Rumors of a new, much-improved MobileMe are afoot. Rumors of iPhones and iPads that depend more and integrate with an Apple Cloud are gaining traction. There used to be a solitary Macintosh platform that worked pretty well with Windows. Now we have a different ball game with the two new iOS offerings on iPhone and iPad. I think it is clear there is room between the Mac and iPhone and that spot is being forged with great promise with the iPad and now the iPad 2. You need to be thinking in terms of all three working together. Apps need to be purchased in that context in many cases. Prefer the App that can interoperate all else being equal. I didn’t mention the continuing success of Apple stores. The 4 in China have proven exceptional. It seems that retail presence is one of Apple’s strategic advantages vis a vis Amazon, Google and Microsoft. And what about the livingroom and Apple TV? That’s still a hobby as Steve calls it. Apple is probably going to find a way there as well. The latest moves look like they may hold promise. Things like Apple TV 2.0, iPad 2 mirroring to HDTV, home sharing and streaming between iDevices, Macs and Apple TV 2 look good. There are serious obstacles on this front. Google TV ran straight into them in the Fall. Sooner or later things will open up here or a mitigation of differences will be struck between Cable and Digital. Don’t hold your breath but keep an eye out. 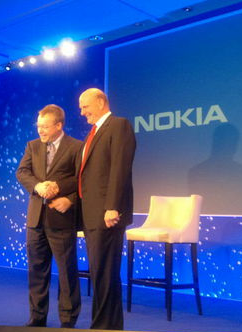 Nokia’s new alliance with Microsoft and adoption of the Windows Phone 7 smartphone platform has little relevance to Apple. Microsoft and Nokia are fighting for 2nd place against Android. Android has the lead now with its free OS and endless accommodations to carriers and manufacturers. Android has no enterprise presence. Apple’s iPhone, iPod touch and now iPad usurped the old cell phone and PDA markets and created a third pad market (otherwise known as tablet). Apple is delivering better tech than anyone else. They market hard. They are incredibly efficient and single-minded. Their aesthetics and design are awesome. Apple has nothing to worry about. But Android hasn’t distinguished itself as a great OS. It’s just the 2nd entrant, free alternative to Apple/iPhone. Both Windows Phone 7 (simpler and more polished) and WebOS (better at the web than Android) are better tech. Google knows that Android is *old* tech cobbled together – that’s why Chrome OS is around — it’s future leaning but has no marketshare at all except as a browser. The Android market is a mess with its openness, lack of app sales, incompatibilities, bloatware etc. There’s some truth to Google Gundotra’s 2 turkeys don’t make an Eagle tweet. It will be hard to gain traction. But these are still early days in mobile and digitization. Windows Phone 7 is cool software (maybe not as cool as WebOS but certainly no worse than Android). MS has a great developer program and lots of good feelings from developers — way better than Apple’s rapport with developers. MS has the sprawling Windows market and a solid Windows 7 OS. Windows has utter dominance in the enterprise. MS even has cool tech and technologists which they can demonstrate when not hampered by having to stay compatible with legacy technologies – see Kinect. Nokia has great hardware design. Incredible European loyalty. Amazing distribution channels for cell phones. This alliance boosts Microsoft and Nokia in Mobile. These are early days for great mobile devices. It won’t be easy, but if Microsoft can really focus and Nokia can work with them and play well with others, they can carve out a spot for themselves leaning towards (1) enterprise and (2) simple for ordinary consumers — the silent majority who don’t want to load their devices with endless apps. Time is flying by as usual and it is time to give you my take on what’s up at Apple. This is easy since they are doing so well. I’ve been writing about Apple in one way or another since the early nineties. Back then I was writing a paper newsletter once or twice a year. Snow Leopard has been great for me. The only hassle was that quite a few things broke and weren’t fixed for a few weeks. Apple had said Snow Leopard in September and all the developers thought that meant September 30. Apple got crazy and introduced Snow Leopard on August 28. How rude! The main thing to know about Snow Leopard if you haven’t upgraded yet is that (1) it makes your machine noticeably faster and (2) the screen pops and dazzles in a way Leopard doesn’t. Apple rewrote the Finder in Cocoa and put the full horsepower of their core graphics engine under it. Now windows pop like you’ve never seen them. As soon as you install Snow Leopard there’s no going back. It’s too lush and enjoyable — and did I say fast! Then in September we had the new iPod touch and iPod nano. I covered them in my last post, so will skip those here. I still think the Nano makes a fantastic Christmas gift for anyone who likes music or gadgets the least bit. The iPod touch is for all those people who can’t do iPhone due to contracts, crumby reception or exhorbitant data plan charges. iPhone-less college students are perfect mates for the iPod touch because wi-fi runs rampant on a college campus and money isn’t all that plentiful in most cases when you are a student. Then came a *mightier* Mac mini upgrade, a fast, battery-laden $995 white Macbook with everything but firewire and a crazily ginormous iMac 27. Apple rocks! They do not let up. They drive the tech world. I only have two tiny complaints at the moment. I wish Apple had knocked Mac prices down a little more somewhere to increase Mac marketshare. But if they did, they could not wow us as well with things like the 7-hour battery life of the white Macbook. Second, where’s my iPad? Lots of people have shiny little netbooks and I want a mini-tablet as an alternative. Lots of Apple owners *had to* go out and buy netbook PCs. Since I have a Macbook Air, I held the line. I highly recommend Apple’s video about the new iMac – there’s a lot of Apple’s amazing industrial designer, Jonathan Ive, on there. Windows 7 is here. As an after thought, I’ll mention the big W from the North country. I haven’t seen a screen with Windows 7 on it. I go by my tech reading. What I see is that Windows 7 is a great boon to Microsoft’s bottom line. 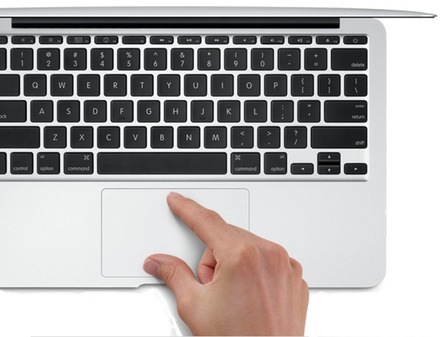 Since a lot of the good things about it are already in OS X, Mac lovers need not be concerned. We know who the innovator is between Apple and Microsoft. Since there is an incredible inertia in favor of Windows, Apple will have to hustle. Glad of that. We are disappointed with Apple’s decision to leave the camera out on the iPod touch. On the other hand the 64gb model looks pretty nice. The little nanos with video cam, microphone and fm radio look like great Christmas gifts this year. Lots of goodies in iTunes 9 – finally better design so you can find what you want faster and a wishlist! Being able to organize your iPhone and iPod touch apps in iTunes looks really good. Couldn’t resist this pic. I’ve got iTunes 9 running and both iPhone and iPod touch running OS 3.1. Apple Keeps on Rocking. The Apple innovation machine continues to delight. The rumor sites had the outlines, but didn’t do the 4G nano justice like the photo above does. The new nanos have the same size screen in a vertical orientation. But the built-in accelerometer allows you to turn sideways to view content horizontally. Vertical is a better orientation for the basics and horizontal gives you a wide screen when you need it. Shake your groove thing. Shake your nano to shuffle the songs. Voice record with the microphone built into the headphones. Those headphones let you adjust volume and go to next or previous song. The improved headphone controls work on both the 4G nano and 2G iPod touch. New Menu: Now you press and hold the center button to navigate around your nano. Feather weight. The 4G nano, an impulse buy at $149 for 8gb, weighs 1.3 oz. That may be why these things end up going into the laundry. Be careful. 2G iPod touch. We expect more of the touch because it is truly a handheld computer. New are external volume control buttons, built-in speaker and the ability to use a microphone input via Apple’s new headphones. 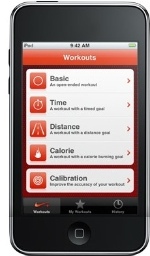 Nike ipod integrationfor tracking your workouts. The genius feature (see below). An $80 – $100 price drop! Genius Feature. iTunes 8 brings smarts (“genius”) to iTunes and the new crop of iPods. The scenario is you hear a song you love and want to hear more songs like that right now. Just press the center button and have your built-in genius create a playlist for you. How well it works is yet to be determined but they’ve sure got my attention!